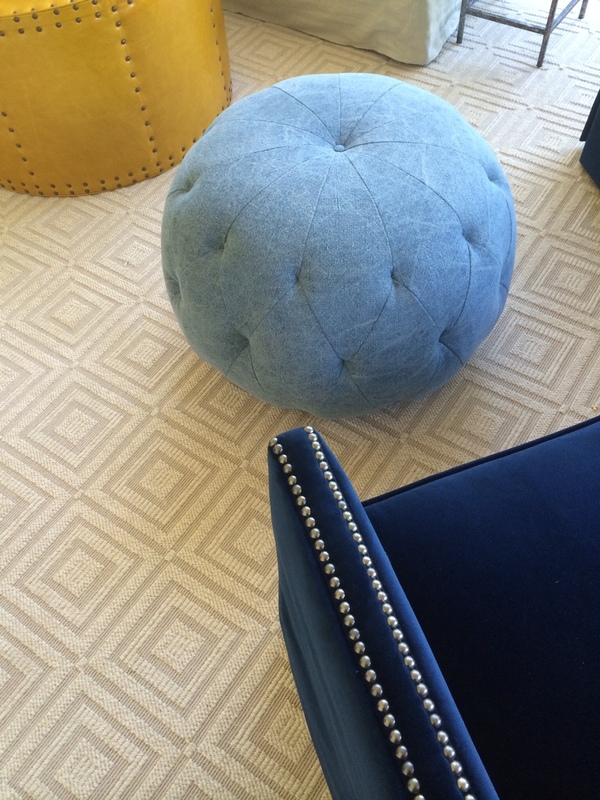 In many luxurious homes across the nation, STARK helps designers transform spaces to fit a variety of needs. 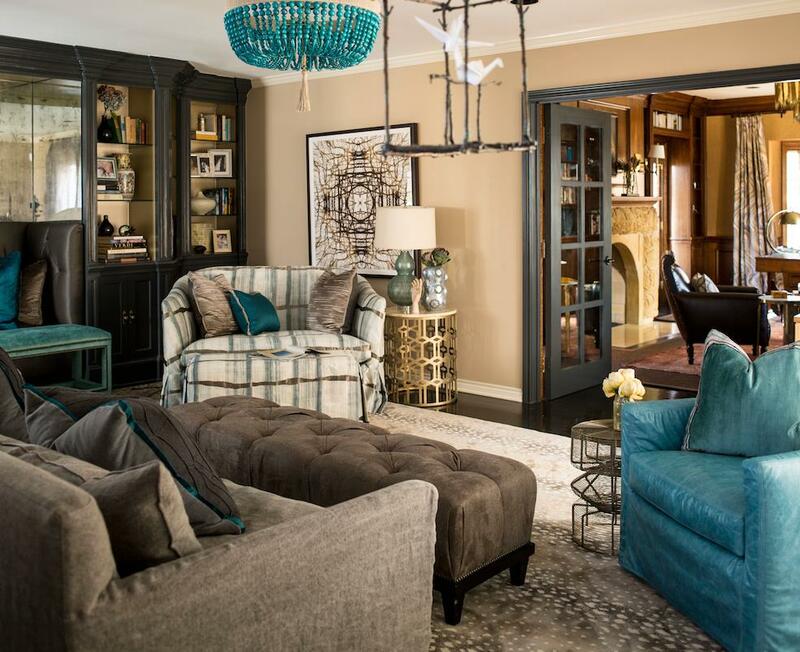 Based out of Durham but working nationally, Heather Garrett – mastermind behind Heather Garrett Interior Design – is one such designer. Having frequently worked with STARK in the past, Heather is confident in the thoughtful accommodation, of our showroom managers and representatives. Heather knew she could count on STARK to help her find just the right décor details needed for one of her latest projects, the redesign of a beautiful Georgian-style house in Dallas. Built in 1948, the traditional brick home was remodeled in the 1970s, and later occupied by Ross Perot Jr. and his family in the 1980s. We had to know more about the transformation of this gorgeous home, so we caught up with Heather to find out about the ins and outs of modernizing a space designed for formal living. Before it was the living room, it was the music room. 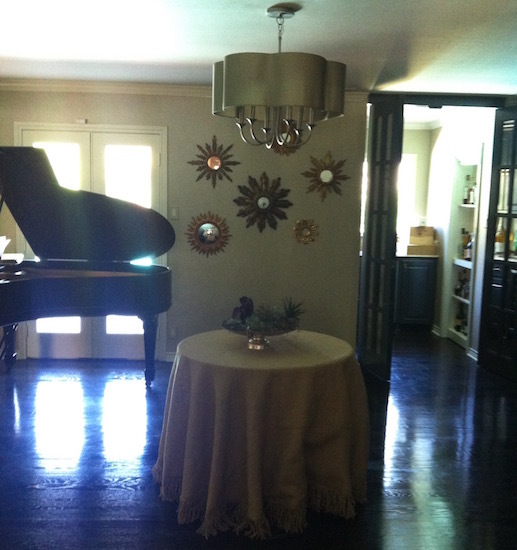 Heather and her team turned the old music room into the new family room. Heather had already built a great deal of trust with this client from working on their previous home in North Carolina, which made this project especially exciting. For example, she was already familiar with the artwork in their home, so she was able to plan around some of those same pieces in the new space. One of the biggest lessons Heather learned when she was just starting in the industry centers on client desires. Laughing about it now, Heather calls herself a “dream crusher” as she has embraced the difficulty of dispelling clients’ preconceived visions, hence crushing their dream. When she walks into a space, she can see what the design needs through the challenging lens of aesthetically pleasing functionality; this does not always correlate with the client’s original ideas. In this project, the biggest dream that had to be re-examined was the function of the sunroom. 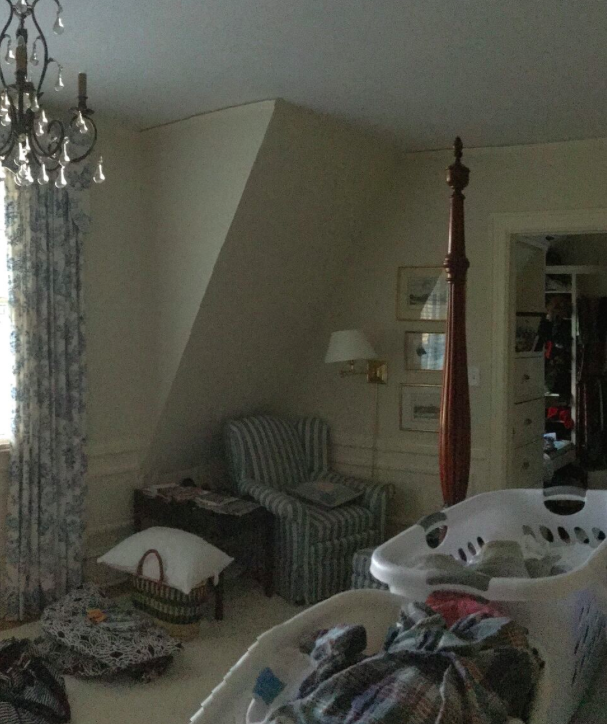 The clients had wanted to use this space as a family room, but with a toddler, the floor would have to be carpeted. The floor, however, is a beautiful and ornate glass mosaic, so they wanted to cover as little of it as possible. 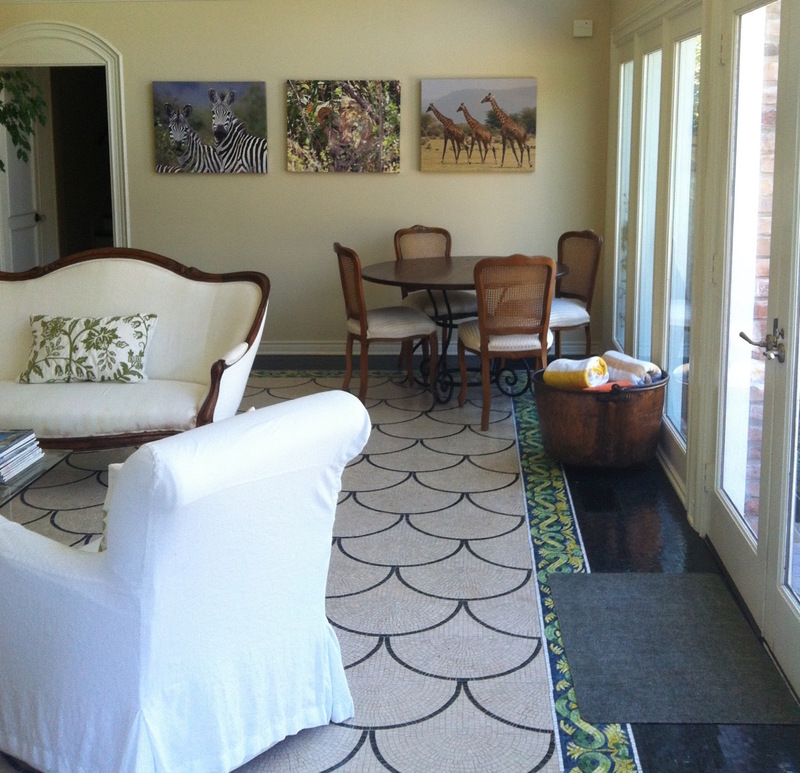 A view of the sunroom floor before the redesign, with the in-laid glass mosaic floor fully exposed. Heather pointed out that they needed enough of the floor covered for two main functions: to provide enough comfortable seating and a place for children to play. “I promised to the inch that we wouldn’t cover up more of that mosaic than we needed to. That was a scary moment…” Heather elaborated. Her designers created a drawing of the mosaic and provided it to STARK, where another line drawing was created. This in turn helped her come within half an inch of where the carpet needed to go. 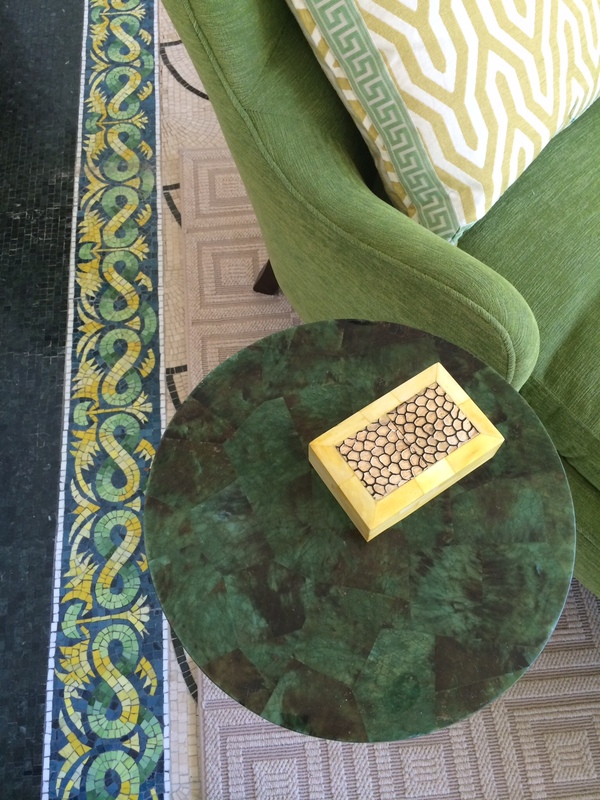 Having that level of confidence in the sizing of the flooring allowed Heather to assuredly order all the comfortable furniture she knew would perfectly match the carpet and the beautiful mosaic border. In a way, the clients were able to have it all. Highlight on the mosaic border after the redesign. Another important aspect of how Heather approaches her work is that the space must be fully conceptualized before the client sees it. “If I present the carpet, then the sofa, then a lamp – bringing in things one at a time, you can’t see the whole,” Heather explained. “Drew Olson, the Regional Sales Manager in Charlotte is my rep, and he’s been so supportive and helpful because he understands that’s how I work.” That support is one of the reasons Heather has continued to come to STARK after being introduced to working with the company through a client who requested a custom stair runner. It’s crucial for Heather to offer clients the entire plan for the proposed design at once because every single decision carries a lot of weight. Presenting the room as a whole, with all the floorings, fabrics and furniture in tandem, expands the perception of the room’s creative vision, which helps convey the entire package. 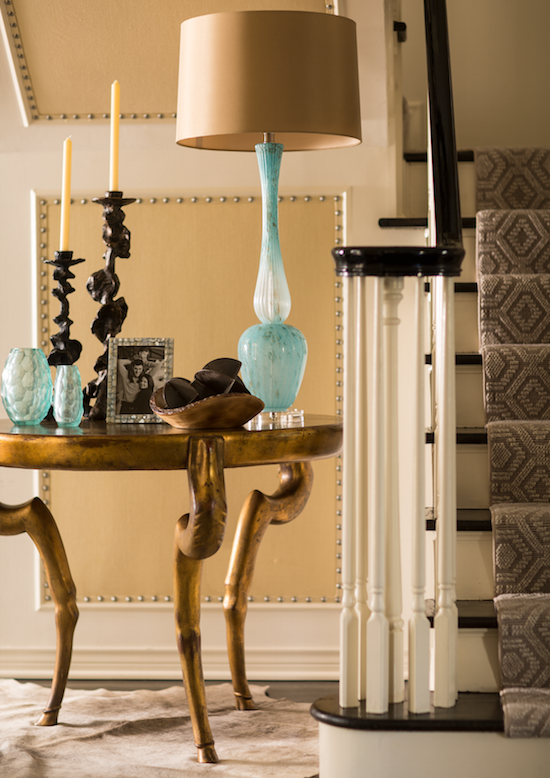 Heather brings a uniquely mixed spirit to her method of interior design, a style she’s taken to calling the Modern South. 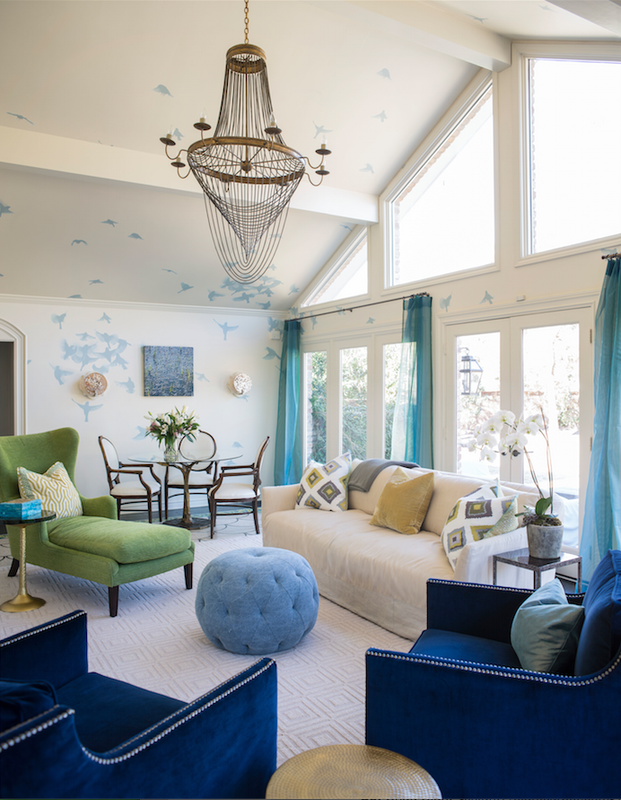 When she moved from New York to a more aesthetically traditional area of North Carolina, she began mixing styles and experimenting with different eras, infusing her contemporary American sensibility with elements of French mid-century design. But it wasn’t until a recent show she participated in that the nature of her stylistic-harmonizing became clear. The space she designed was modern, but it made use of some Old World elements, as well. 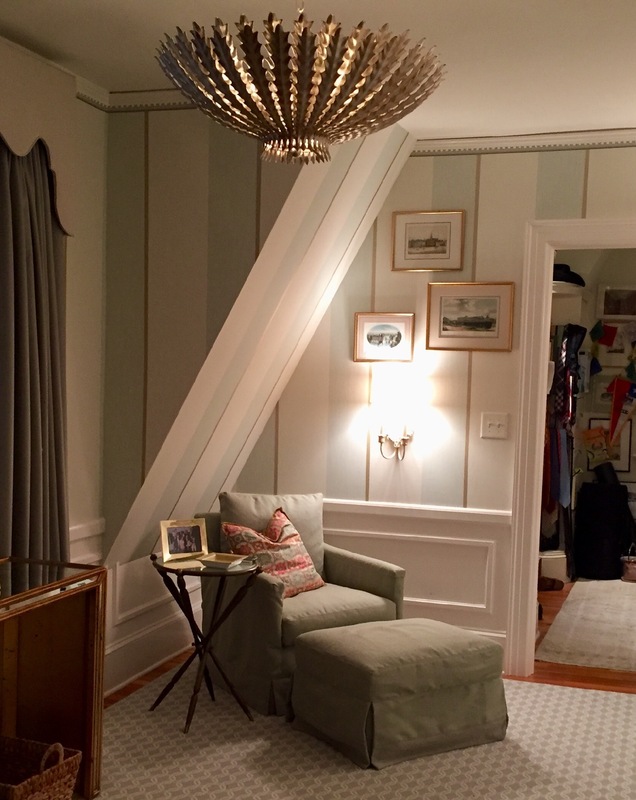 “It’s like she’s designing for the Modern South,” she heard someone say – and the term has lovingly stuck ever since. 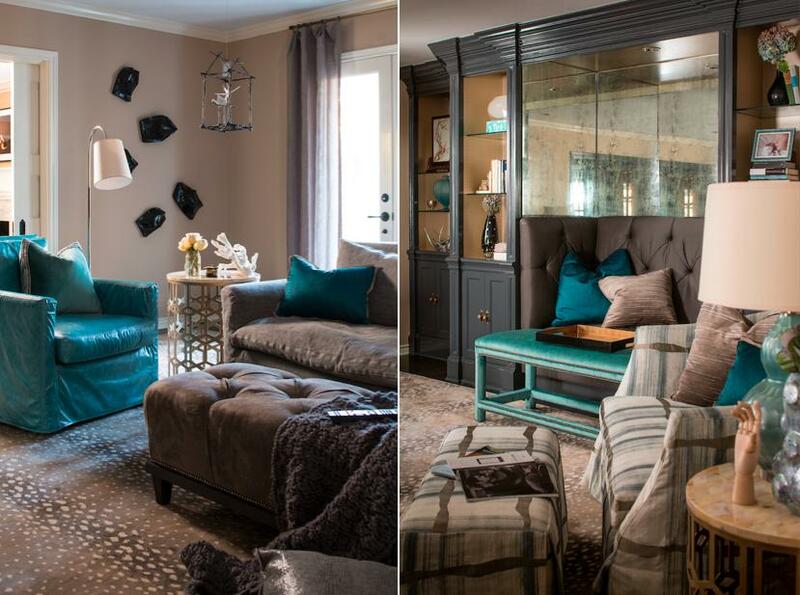 Do you love the custom STARK work on display in Heather Garrett’s recent interior design project? Find out even more about our custom fabrication capabilities in Behind the Scenes at the World of STARK. Or visit STARK Charlotte to get acquainted with our expert sales staff. See even more of what’s creatively possible at STARK in our Design Showcase and Ashley’s Window, and stay up to date with Press & Events. Interested in gaining more access to STARK? Members of the trade can! Learn the benefits and apply for your own account now. After images courtesy of John Bessler Photography.